Tubing benders, pipe benders, manual tubing bender - Kp-Lok Houston Inc.
Our tube bender and manual pipe is the best solution when it comes to roll cages, chassis, and motorcycle frames. The main aim of pipe bender is to blend and twist the pipes in different sizes and shapes. These benders are made up of heavy-duty metals like iron, copper, brass, and aluminum. Other than this 316 stainless steel is also used for its construction. This ensures that the pipe bender is powerful enough to resist pressure and force applied while bending other tubes and pipes. 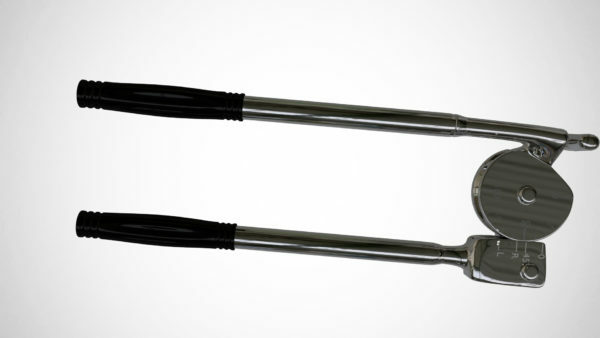 The tube benders are made specially to create bending pipes simpler and more suitable. The pipe benders are produced from heavy-duty metals adding iron, brass, copper and aluminum. Additional, stainless steel is also applied to design the pipe benders which builds them long-lasting and durable. Additional, these pipe benders can resist top-temperature and forces too. One of the largest benefits of the tubing bender is that they are corrosion and rust resistant, which means they will last for a long duration of time. A pipe bender is a tool used to bend piping of various materials, such as stainless steel and copper, to make various curves and angles. There are 4 main categories of pipe bender: electric, hydraulic, manual and mechanical. This part deals with handy pipe benders only. Manual pipe benders are a famous choice for worksites where access to automatic power is unavailable or in places where mobility is required. The main aim of pipe bender is to bend the pipe without any buckling, and with as pretty crimping and flattening as easy. It is vital that the pipe keeps its figure as deformed pipes can crack under force, crack, and commonly look less attractive. When using pipe benders, it is also vital to use standard pipe, as affordable piping can generally be the cause of destroying rather than the bender itself. The structure of the tubing bender changes depending on model, anyway all have basic shoe or former which the pipe is bent around. The former will generally have marketing to point out the various angles that the user can bend to.